The Mis-en-scène Short Film Festival (MSFF) was established in 2002. While most film festivals are organized by film critics and scholars, the MSFF is unique in that it is run by filmmakers. Its committee is made up of South Korea’s finest directors including Park Chang Wook <OLDBOY> and Bong Joon Ho <OKJA>. The festival entries are classified into five categories: A City of Sadness, A Short Film About Love, The King of Comedy, The Extreme Nightmare and 40,000 Blows. Since its inception, the festival has helped shape and develop the short film medium in Korea, which was previously largely made up of only experimental films. Directors who specialize in the genres of Drama, Romance, Comedy, Horror/Fantasy and Action narrow down the entries which surpass over 1,000 short films each year into 60 competing slots. Awards are given across all categories. A number of MSFF winners have launched successful careers as full-length film directors. In 2014 Jang Jae Hyun’s short won in The Extreme Nightmare category and the following year, he made his full-length big screen debut with <THE PRIESTS>. An additional award, the Daesang, is given to short films with distinction. Only a handful of films have been awarded the Daesang in the festival’s history. In 2005, Na Hong Jin's <THE WAILING> short won the coveted award. Because of the judging panel’s influence and credibility in the industry and opportunities an award grants aspiring filmmakers, the shorts festival is likened to the Super Star K or Battle Royale for young filmmakers in Korea. 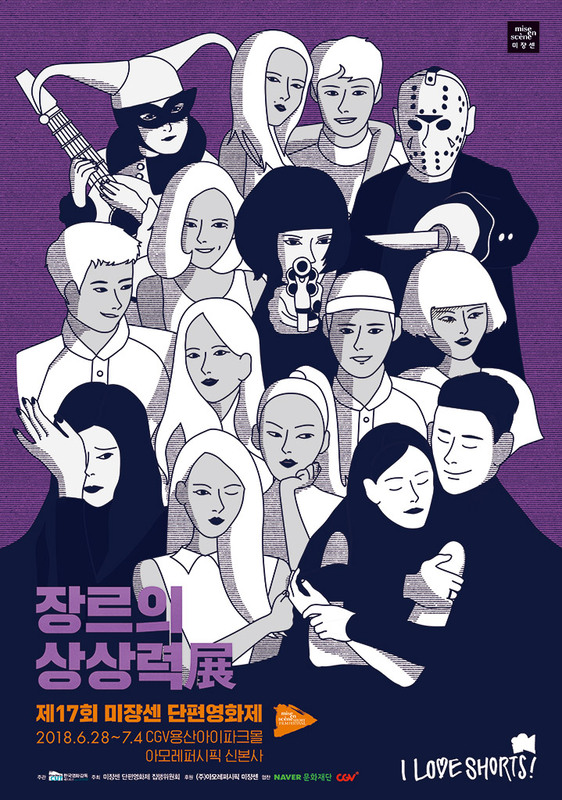 It's worth noting that foreign-born filmmakers are also allowed to enter the Mis-en-scène Short Film Festival, as long as the short film has been shot in South Korea. This year Salome Dubois's short Matriochka has been selected to compete in the 40,000 Blows category. You can watch the 60 short films competing in this year’s festival (as well as last year’s winners) between June 28th and July 4th at Yongsan I-PARK CGV.